Some of the best time on a Friday evening I spend picking up some cookbooks, magazines or looking through my list of things I want to cook this year, playing with the ideas and possibilities and deciding what I want to cook on the weekend. 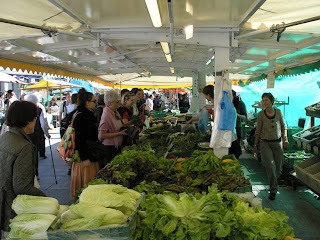 Then in preparation for the next morning making the list of the ingredients for Saturday and Sunday cooking that I want to get from the market . 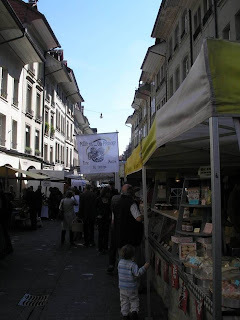 Most Saturday mornings I go to the farmers´ market in the middle of the normally laid back slow Swiss capital. 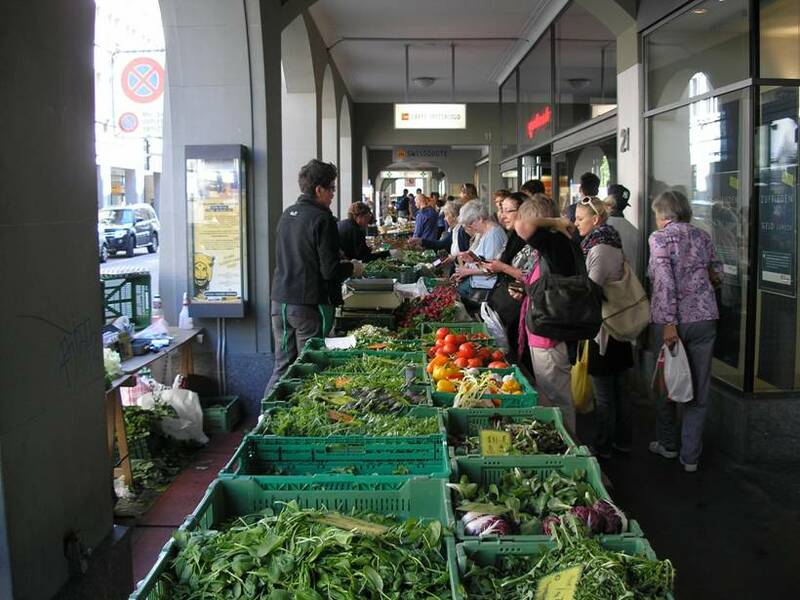 But on a Saturday morning it is a different world, a magnet for a food afficionado. 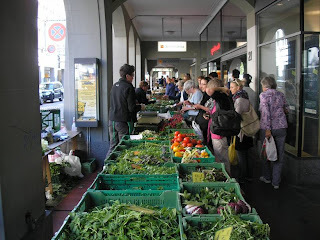 The arcades and the Bundesplatz (Parliament Square) are filled with stands of fresh vegetables, fruits, herbs, mushrooms, cheeses, meat, fish, breads, flowers and more. The smell of the market is tickling my senses and tempting to buy things I did not plan. Sure, if you dont like the smell of the cheese, you may need to hold your breath in some areas, but for me it is addictive. Breathing in the busy market morning…long deep inhalations, long deep exhalations. Over the years I´ve become to know most of the people at the stands by face. Some of them have different ways of keeping their customers, be it a little gift of a carrot, an onion, the small-talk or more dramatic presentation.